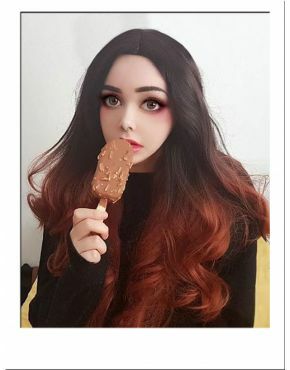 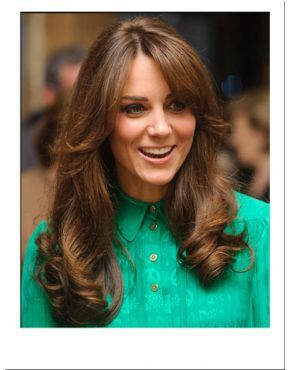 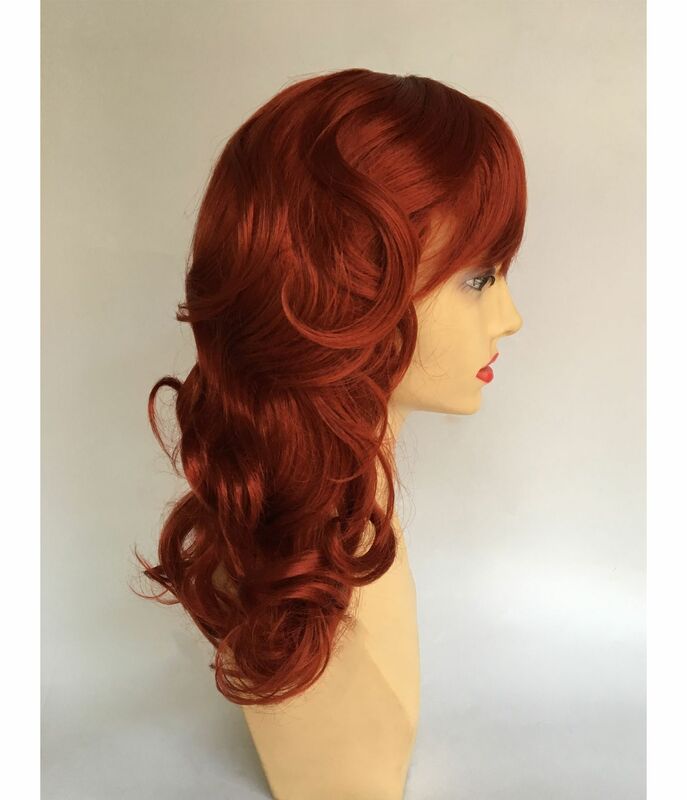 A full and voluptuous looking wig, much like the Mad Men star herself. 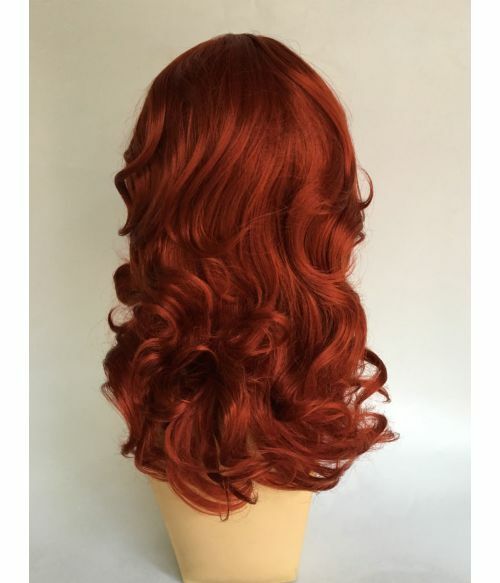 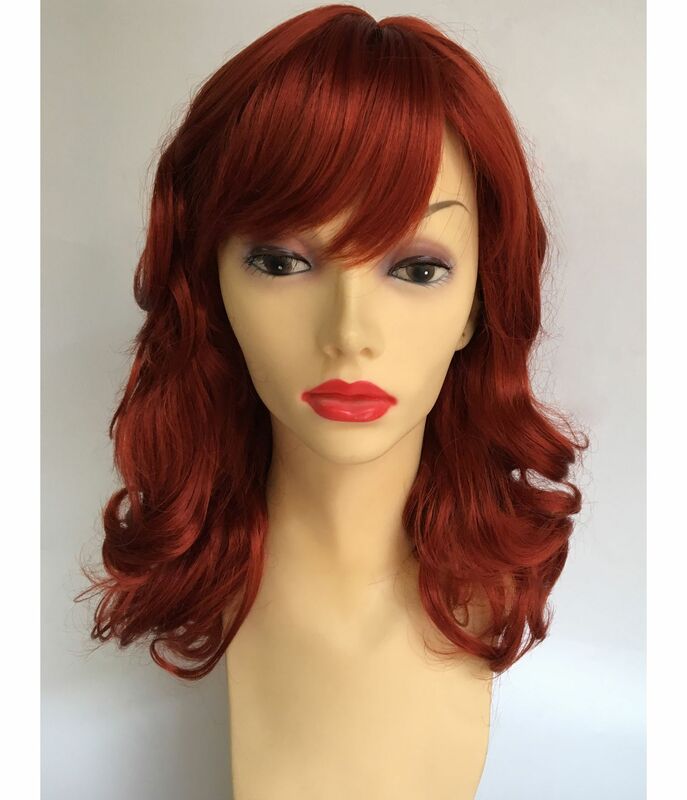 Our Christina Hendricks inspired fashion wig features a shoulder length mass of lush, curly layers with a heavier cut fringe swept seductively to the side. The skin top parting line ensures that each strand has an authentic growth appearance.